« Ready, set, go! Smart2Go project left the starting blocks! Bright eye-catching packaging helps products stand out on the shelf. With OLED lighting, products can stand out even more and have the potential to add even more features to product packaging. 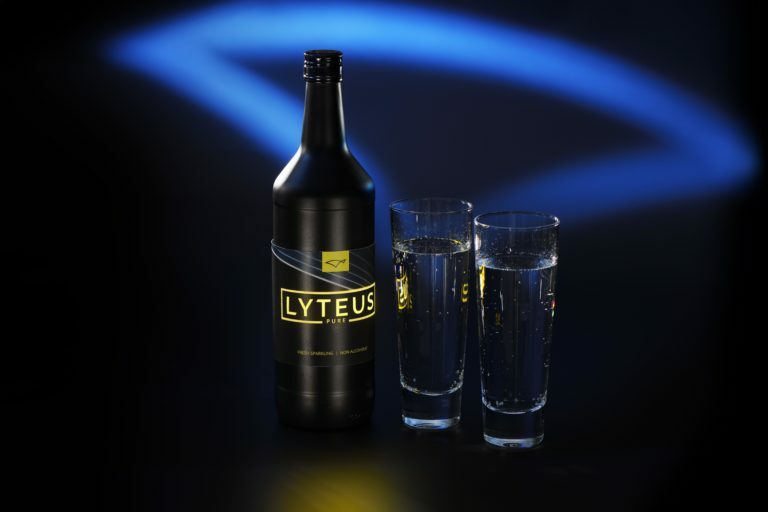 In the case of the Lyteus bottle label, a flexible OLED panel embedded in the paper label lights up to show the logo. The Lyteus label features a rectangular OLED panel integrated into the label, which shines through a printed cut-out in the paper label to display the logo. However, the OLEDs can be printed to produce any shape or colour. And highlighting the product brand or catching the attention of passing shoppers is just one possible application. They could also be used to highlight specific product details, such as a drink’s flavour or colour, or to provide additional information. Integrating sensors into the packaging further extends the possible uses, opening up a whole new range of opportunities. For example, the package could light up only when touched or when the product was opened, the OLEDs could flash in time to music or light up to warn that the contents were hot. The OLED panels are incredibly thin, just 330 µm thick, making them ideal for embedding into paper labels. They are also very flexible, so can be easily bent for curved objects like a bottle or cup. Currently, production of the OLED labels is based on a sheet-to-sheet process. For mass manufacturing for labels, the process needs to be scaled up to be able to produce large numbers of labels consistently. Therefore, Holst Centre is developing a roll-to-roll pilot production process to address the challenges of producing OLED labels in large quantities. Holst Centre is also working to further develop the technology for labels. For example, the current implementation still needs wires and a cell battery. These could be replaced in the future with flat, flexible batteries or even flexible wireless charging coils. And it may eventually be possible to integrate flexible OLED displays, providing even more possibilities for attracting and informing customers about products. For manufacturers interested in the technology, Holst Centre offers three test kits. The Starter kit includes some sample basic OLEDs panels, the Standard kit includes a wider range of shapes and colours, and the Premium kit is customized to the customer’s specific needs with OLEDs in any shape or colour. ​​​​​​​European pilot line PI-SCALE, branded as Lyteus, brings together leaders in OLED technology from across Europe to create a pilot production line and product development services for OLED products. Lyteus is an initiative of the Photonics Public Private Partnership co-founded by the European Union’s Horizon 2020 Research and Innovation Programme under Grant Agreement No 688093 (project PI-SCALE).